Human Grade Ingredients, no salt, sugar or preservatives. all products are lovingly hand baked from human grade ingredients in my own kitchen. Originally created in 2010 after a friend gave me a recipe book for 'dogs' for my birthday. I thought what an ideal way to pamper my already spoilt four-legged pals - bake them biscuits & treats! Much tastier & healthier than the over-processed supermarket treats. 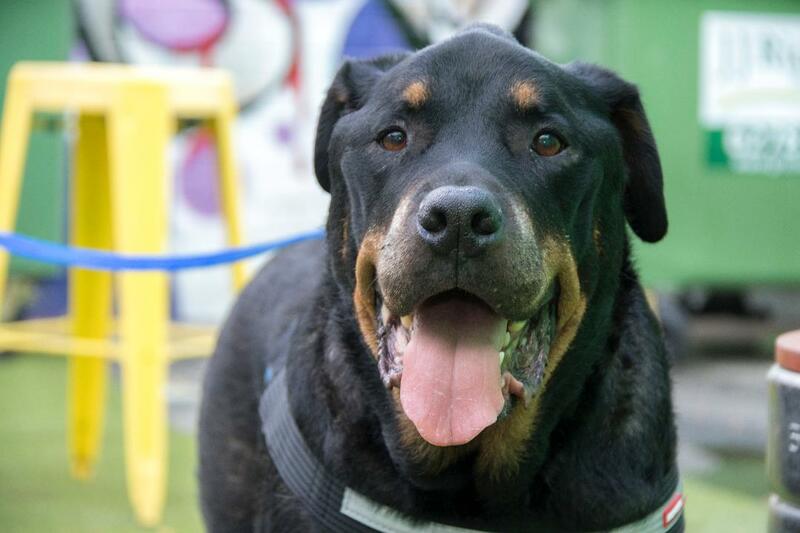 I formed my company in memory of 'Diesel' , a huge 'Boof Head', who we sadly lost a few years ago after several years of a debilitating illness - the sookiest Rottie you had the privilege to meet. His nickname was 'Deezi' - so the perfect name for the company. Taste tested by highly trained & experienced connoisseurs - 'Tehya Tator Tot' & 'Louie' - current resident experts . All ingredients are 'human-grade' from the pantry & the biscuits will keep for upto 8 weeks - if they last that long! cakes can still be ordered for collection as no delivery can be offered.